Palma de Mallorca is not only celebrated for its 'champagne sailing conditions' but also for its stand-out marinas, yards and services. This year's selection of sail and motor yachts over 24m matches the capital’s nautical versatility: anything from multi-level motor yachts to classic sailing yachts can be admired. 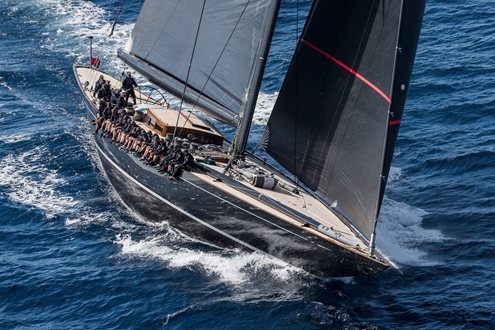 What’s more, the 7th Palma Superyacht Show will be a veritable festival of high-octane racers as it will shine a spotlight upon competitive yachts such as the 43.6-metre Svea and the 35.2-metre Swan 115 Odin. Svea’s flowing lines, teak panelling and long overhangs hark back to another era while the 35.2m Odin’s looks match the yard’s description as "the most technologically advanced boat ever built at Nautor”. Don’t let Svea’s classic lines fool you though, she’s as much a racer as Odin is. In fact, she won last year’s class title at the St. Barths Bucket regatta. Both remarkable boats are for sale with super yacht brokers Burgess. A motor yacht bound to be admired by means of her skilful celerity is Seawater, a 25m Sunseeker available for charter with Charter & Dreams. Effortless island hopping by means of her speediness is one reason to opt for this sporty cruiser; her local captain another: he knows the Balearics inside out and can whisk charterers off to the islands’ secret coves and undiscovered anchorages. As proud as we are to announce some of the yachts that will be on show this year, we’re also delighted to affirm a second collaboration with CleanWave. Reducing the use of single-serve plastic bottles on the Balearics is high on their, and our, green agenda. Local non-profit CleanWave will be on-site to offer inspiration and to man a monster-sized water-station, allowing visitors and participants to fill up reusable bottles free of charge. The show’s versatility is also evident in this year’s exhibitor list. It covers all products and services an owner or captain could possibly need and includes company names you can trust. Precision Marine, for example, have been part of the show since its inception and providing a wide range of marine engineering services for many years. In fact, this is a special year for the company as they’ll be celebrating their 25th anniversary.